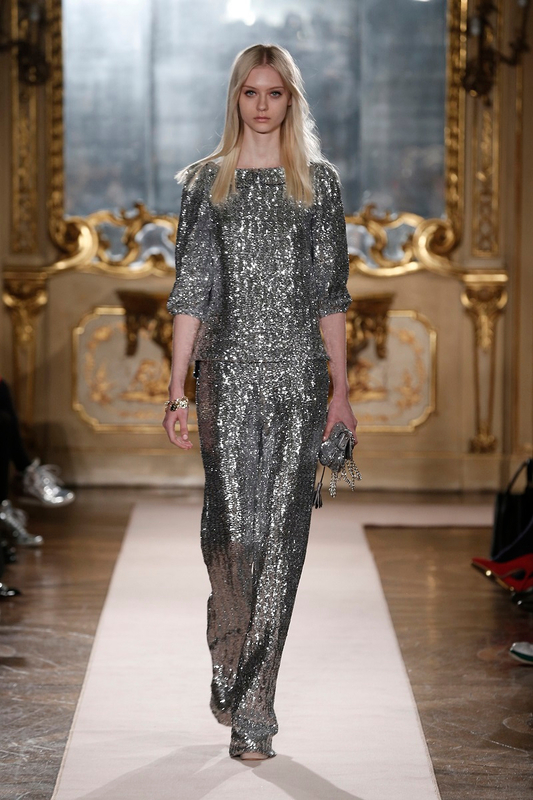 Within the walls of Palazzo Reale in Piazza Duomo, Aigner presented their latest sensational autumn/winter 2014 collection. 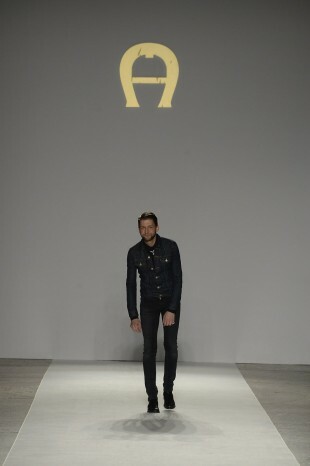 The evocative location and a long walkway surrounded the fabulous collection of the brand. The focus on details characterise the garments. This season, the designer Christian Beck took us on a journey which leads to the discovery of the heritage of the Munich-based maison combined with a contemporary taste. Elegant silhouettes, mostly slim transparencies which infuse a touch of sensuality and the feminine dresses are the absolute protagonists of this collection. Attention to details means attention to materials: many garments are in combed yarn combined with Duchesse silk, transparent jersey and ultra-soft leather. The selected tones are black, indigo blue, cognac, clay and red. The leather collection combines the charm of handmade craftsmanship with our current reality. Studio Artigiano is demonstrating that change and tradition can coexist in a masterly way. Every single creation unifies contrasts thanks to a cohesive design. 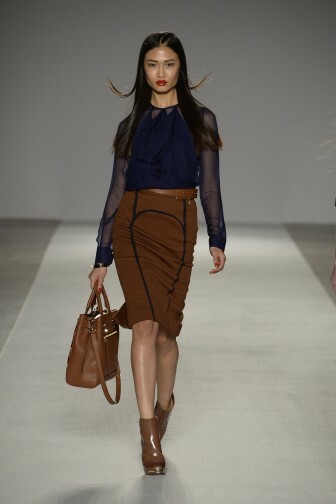 Beck infuses new life into models coming from the Aigner archive. Fine craftsmanship, exclusive leathers and vintage looks characterise each luxury bag of the collection. The sophisticated closures are one of the highlights of the line. The Cybill bag – the “it” Aigner bag – has been presented in different styles and shapes: grain leather, with a special cube leather effect and also in a Cybill clutch version. The colour palette is very important and significant; it reflects the complex interplay between timelessness and current trends: classic onyx black, marble white and dark magenta, earthy vacchetta, cuoio and clay brown combined with strong hues such as ruby red, indigo blue and emerald green. Sensational jewels complete the collection. Necklaces, bracelets and belts in real white carrara marble combine with light gold metal parts. The inspiration from the 40s and the 80s can be seen in metal clips used for blouse sleeves and ankles.